You’ve probably heard the truism “healthy body, healthy mind” before. Sounds familiar, right? Well, the thing is, just as with all the other parts of your body, to be healthy your brain needs you to follow the general principles of a good, healthy lifestyle. This of course includes good nutrition, physical exercise, making time for relaxation, and intellectual stimulation. These four areas all play a crucial part in ensuring that you stay mentally pin-sharp, and of course, it follows that staying mentally pin-sharp is important in order to memorize and retain information. A healthy diet is important given that every cell in our body needs a steady supply of oxygen and nutrients in order to stay alive and work properly, including brain cells. Because oxygen and nutrients are carried in the blood stream, anything that impedes blood flow will starve those all-important brain cells. Eating a big mac for lunch and dinner might be a cheap and tasty option for you right now, but in terms of nutrients, it might not be the best choice for your body and brain. Certain foods have been proven to enhance short- and long-term memory, and to reduce risks of diseases such as Alzheimer. Ed Cooke, Grand Master of Memory and co-founder of Memrise, a free online educational platform that uses mnemonics to optimize learning, eats so-called “superfoods” as part of his memory training, which includes blueberries, cod liver oil, and Omega-3. Data also supports that eating fish rich in heart-healthy omega-3 fatty acids, dark green leafy vegetables, foods high in vitamin E, whole grains, and even red wine (consumed moderately), can all improve memory one way or another. When it comes to exercising, Dominic O’Brien, in “How to Develop a Perfect Memory,” introduces us to Garry Kasparov’s routine, former World Chess Champion now turned politician, and considered by many to be the greatest chess player of all time. Kasparov is utterly dedicated to his profession, and trains mentally and physically every day. A typical morning might begin with a long cycle ride, followed by several lengths in a pool, before settling down to some work at the chessboard. He believes that if he stays physically fit, the quality and duration of his mental concentration is enhanced. Top-level matches are arduous affairs, requiring long periods of acute mental alertness. O’Brien adds that when he himself is preparing for a competition or attempting a memory world record, he gives up alcohol and embarks on a rigorous schedule of running and cycling five weeks before the event. The effect on his concentration and performance, he says, is considerable. I would tend to wholeheartedly agree with this statement. I don’t know when was the last time you had a nice day out hiking a mountain, or the last time you ran a few kilometers along the beach one nice morning, but chances are that upon returning home, you felt relaxed, satisfied of yourself, and able to focus better. After exercising, my body feels relaxed and I can think clearly and deeply. I’ve heard others praise the benefits of meditation too, as a way to regain focus and peace of mind. In any case, exercising and meditation are undoubtedly great ways to improve focus, which is crucial to a good memory, as we have seen in Tip #2. Try a quick run before writing an exam, or a short period of meditation before opening your Chinese textbook. So, what do you think? Do you exercise enough? 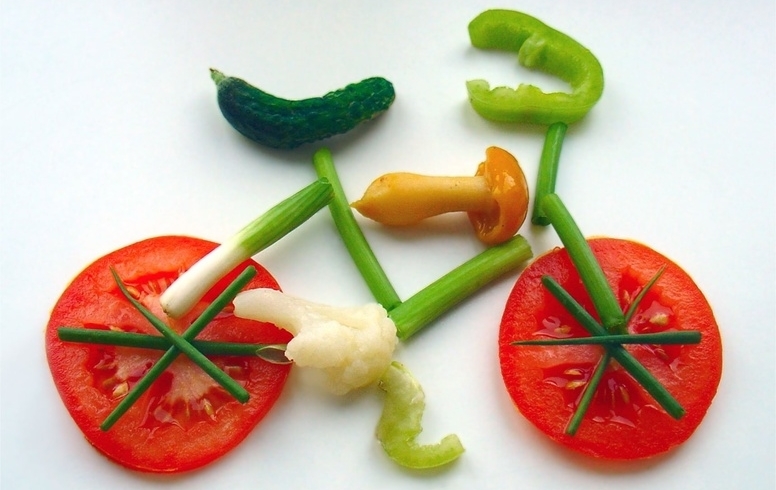 Do you eat healthily? Do you take regular breaks between long periods of intensive work or study? If the answer is no to any of these questions, consider changing your lifestyle, and you’ll no doubt reap the benefits these changes will bring to your health, well-being, and memory. Awesome tips, Sam! I read them all. I would also like to add to this post — we have to get enough sleep too. All the exercise and great diet will be for nothing if we only get 3-4 hours of sleep every night. Hi Cat. Very good point! Sleep is indeed very important, especially good quality sleep. I think something a lot of people forget is that having a regular sleep schedule also plays an important role in your health. Even if you manage to get 8 hours of sleep every day, if one day you sleep at 10PM and the other at 4am, it’s not going to have the same effect. And finally, I would say drinking lots of water really helps too. It’s such an easy thing to forget, but it helps to keep you well hydrated and keep your mind sharp. Thanks, Sam! What you said about quality sleep is very true. Unfortunately, with the kind of pace we are living with right now, very few of us get really good sleep.